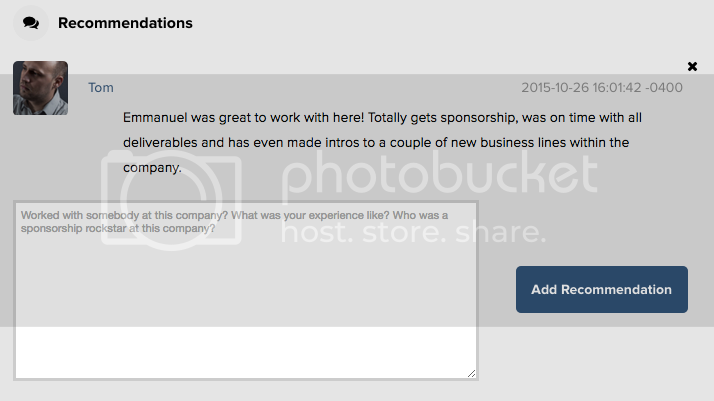 Did you know that you can now leave a recommendation for sponsors that you've worked with in the past? This is a brand new feature on the People tab of each sponsor page. To read recommendations from other members or to post one of your own go to any sponsor page and click the people tab then scroll to the bottom of the page. Don't forget to add your personal recommendation to the sponsor page!